Quentin, a partner at Gunderson, Palmer, Nelson & Ashmore, LLP., joined as an associate in August 2007 after a one-year clerkship with the First Judicial Circuit Court. While there, he clerked for the Honorable Arthur L. Rusch, Honorable Glen W. Eng, and the Honorable Steven R. Jensen. Quentin graduated from the University of South Dakota School of Law, Vermillion, South Dakota in 2006. While attending law school, Quentin was a member of the Client Counseling and Negotiations Board. He served as treasurer for one year. His undergraduate studies were completed at Northern State University, Aberdeen, South Dakota in 2002. Quentin grew up in Philip, South Dakota where he was active in the Boy Scouts of America and FFA. Quentin comes from a ranch family and enjoys helping farm/ranch clients with legal issues ranging from estate planning to the purchase of ag property. Currently, Quentin is actively involved in the Black Hills Area Council, Boy Scouts of America, currently serving as President, is a member of the Community Advisory Board Black Hills State University in Rapid City and was appointed by Governor Dennis Daugaard as a board member of the Ellsworth Development Authority. 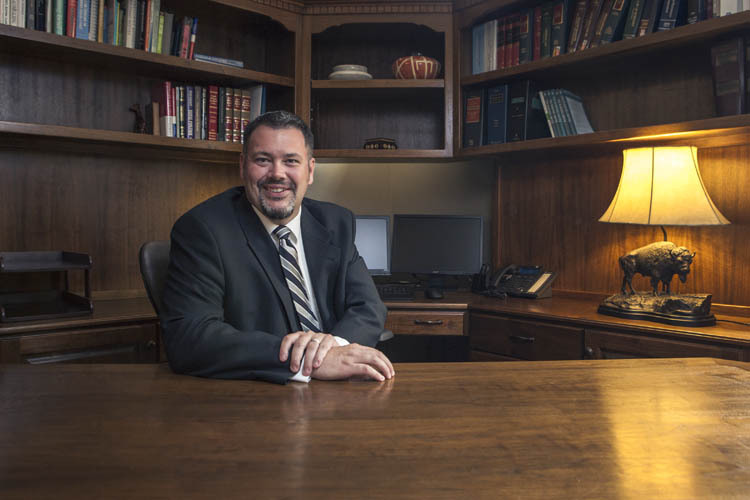 Quentin is also an active member of the Real Property Probate and Trust Section of the State Bar having served as its chair from 2015-2018. Quentin was also a member of Chief Justice David Gilberton’s Elder Abuse task force in 2015. In his spare time, Quentin enjoys hunting, fishing and watching sports, especially baseball and football. Our attorneys have a long history of representing farmers and ranchers and other agriculture-related companies in all areas of law affecting the agriculture industry. Our business attorneys combine their industry knowledge with legal acuity to create solutions that help clients achieve their business goals. Being accused of a crime can be stressful. The attorneys of Gunderson, Palmer, Nelson & Ashmore have been defending individuals accused of crimes for over 40 years. Many of the attorneys at Gunderson Palmer devote a great deal of their practice to working with governments and their employees. We provide experienced advice to a variety of clients regarding a comprehensive range of real estate transactions in the region.